The 3 oldest were playing rugby at the time, and my oldest daughter, Jessie was shall we say ‘blessed with her fathers build’ and played in the forwards. She was an awesome rugby player, in a mixed team, picking up 2 player of the year trophies in 3 years. (incidentally one of those years Michael, the second oldest also won player of the year in his rugby team as well), the only thing that was impacting her was her fitness. 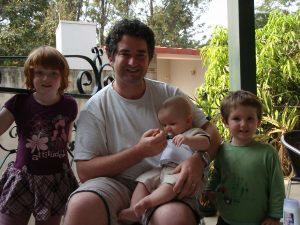 So I was watching my kids growing up and being impacted by the same problem that I’d been battling all my life, being overweight and unfit. It was time to do something about it, make a positive move for my family. That was when my brother Martin came along talking about parkrun, a community based, timed, free 5k event every Saturday morning at 8.00am about 2km from home. 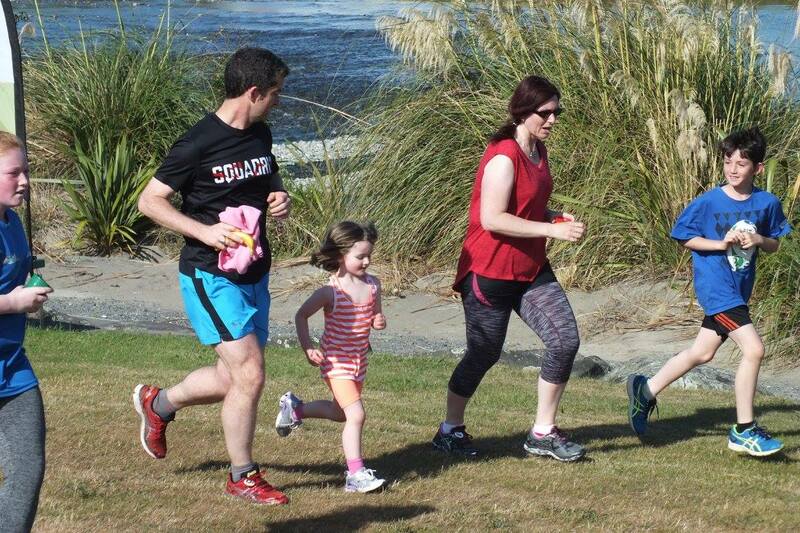 Me and the older 2 kids ran parkrun virtually every week, except in the rugby (now soccer) season and soon made a habit of it. As the other kids got older, they joined in and so did my wife, Jo. I started to get interested in longer distances and did a few 10k events, and a few halves (The first 3 were all frustratingly 2hrs 28) and then a marathon (in 5hrs 06 which was a lot harder than I expected). The next goal was to get under 2 hrs for the half. In my mind at the time, that would make me a ‘real runner’. I know now that running makes me a real runner, speed is irrelevant, but I only worked that out once I got faster. Which is kind of ironic! So in the process towards the elusive 2hr half, I had several 2:07-2:10 runs but just couldn’t nail it. So I went to an info evening and saw the super charismatic Kerry Suter talking about Squadrun and it looked awesome, way out of my league as these people looked like super athletes and a bit on the pricey side for a 43 year old average recreational runner, but it looked really awesome. Kerry said at the time that he couldn’t take on any more clients but was looking at a different way of delivering coaching, a cheaper more mass market internet based approach. And then it happened, Kerry’s $10 per week coaching deal came onto the scene, and I was away. I had recently changed my diet as well, so had lost a bit of weight which really helped. So how on earth was I going to get fit enough to run an ultra, I have a busy full time job, an amazing wife and 4 kids to bring up. And so I needed to become an expert in time management as well as a semi competent runner. More often than not, my long runs start at 5am. On a weekend this gets me back home about the time my wife wakes up and the kids are happy watching Sunday morning TV. Midweek runs are squeezed in, the 16k/90 minute run into work in the morning is a really useful one, or even on the way home on a Friday night. Add in a fast 8k at lunchtime once or twice a week and before you know it I’m just about done. So it can be done, if you really want it, it can be done, and the Squadrun programme helps that, with the flexibility of the ‘Priority based’ runs each week. Does it get boring training a lot? Absolutely not. The variety of the programme is great with everything from Super Sunday long runs, to 1k intervals, long hills grinds, short hill sprints, double days, deeks quarters, every week is exciting. Before you know it, my 5k pb is 22:32, my 10k pb is 49.58 on a terribly windy day so will come down 2-3 minutes next time, my last race half marathon was quite a while ago now and was 1:56, but on a recent casual training run I ran a controlled first 10k then decided to push the pace for the last 11k and did a 1:54, so again, the next time I race it I’d expect to be 1:48 – 1:50. I haven’t raced a flat marathon for quite some time but ran the Kinloch off road challenge in 4:51, which I think should equate to about a 4hr marathon on the flat. And then came the Tarawera Trail Marathon and 50k. What an amazing event. I completely love it. On the day I finished in 6hrs 34minutes, and was in the top third of the field! The overweight middle aged man who 3yrs before couldn’t run 500metres finished in the top third of an Ultra Marathon! Unbelievable, in fact even writing this now it doesn’t seem real. I couldn’t have done it without parkrun or Squadrun. One of the best things about Squadrun is the facebook community that surrounds you, it’s really great, and I’ve made so many friends there, genuine friends who inspire me and who I feel lucky to have met. And on the running side, people sharing results, experiences, helping each other, it’s just fantastic. 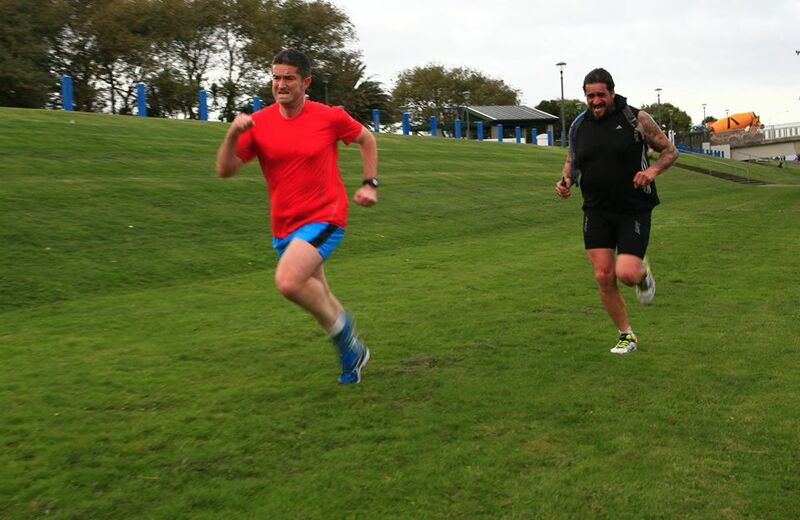 One Squaddie came down from Auckland and wanted to go for a run, this resulted in 8 of us starting at 5am at Frank Kitts Park and running 16km to Miramar and back before work, and it was awesome! 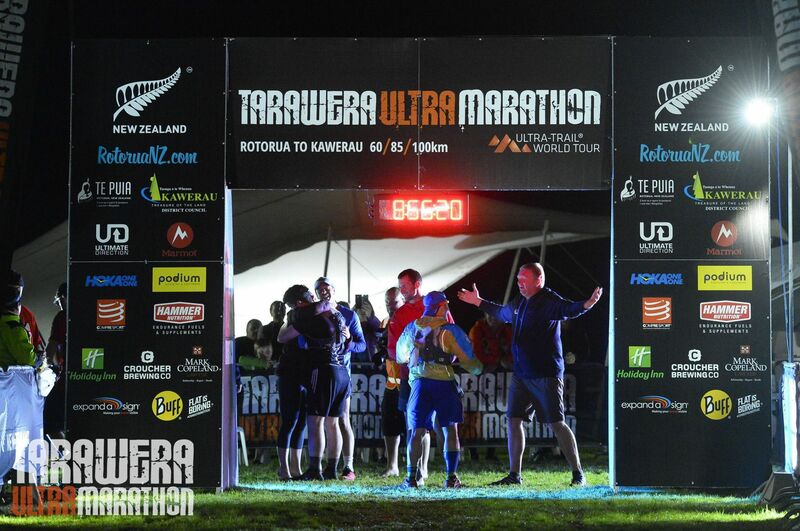 It was great fun being around such fabulous people, but I realised that they were all going on to a different event, something bigger, much, much bigger, something called the Tarawera Ultra Marathon with distances of 60, 85 or 100km. So while I was suffering a severe case of FOMO (Fear of missing out), I raised the stakes on my running and signed up for the 100km event. Gulp….. So on the 6th February 2016, in the rain, I left The Redwoods in Rotorua for Kawerau, and what an adventure that was. Due to the rain, my choice of shoe and significant time in swimming pools in the 2 weeks before the event (which softened my feet), I had some unexpected issues with blisters, big, big painful ones. But my training was great, my mind was focused and my Squadrun mates were there all through the field and on the sideline, and they got me though to Kawerau. And who do I meet as I cross the line, Kerry & Ali, my coaches. It was 12:55am, I was 6 hours later than expected due to my blisters, and my Squadrun family, my real family and the fantastic race directors Tim & Paul, were still there waiting for me. With a smile on their faces and the best hugs ever. ‘Never leave a squaddie behind’ they said, and they sure didn’t. Well I’m up for a fast marathon, with a sub 4hr run being a key goal this year. I also want another crack at running a 100km, without blisters, so I’ve entered into the inaugural Taupo Ultra 100km event, and the best part is that my family have watched all of this. Now my wife has joined Squadrun and signed up for the Tarawera Trail Marathon and 50km event in November, and my oldest is getting on my case about when can I do it Dad? I want to run an Ultra as well.